Have a question for The Summer Hotel? "Great breakfast and strong reliable wifi!" "Hotel location is ideal ." "Staff were knowledgeable and very helpful ." 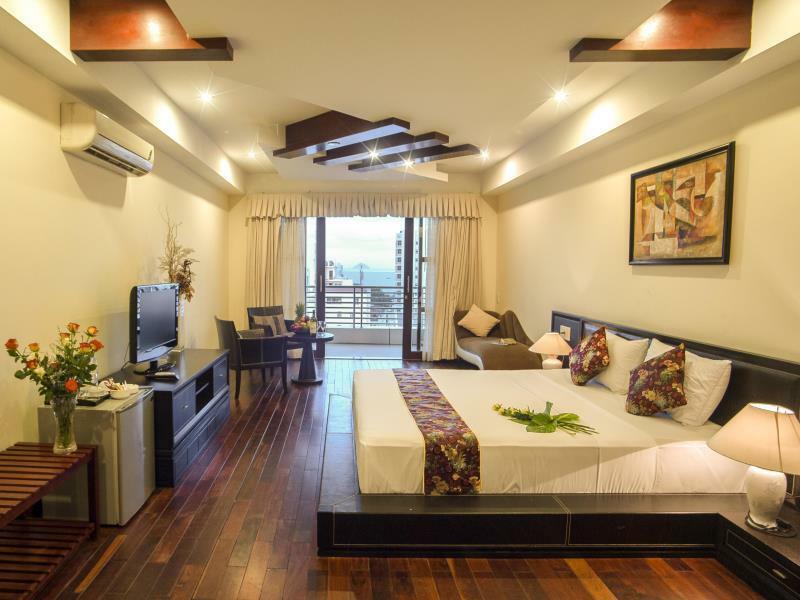 Located in the heart of Nha Trang, this property is just half an hour away from Cam Ranh Airport and is just a stroll away from Dam Market, shopping centers, the train station, and the beach. Featuring an excellent location, The Summer Hotel boasts accommodation units that have magnificent views of the ocean or city. 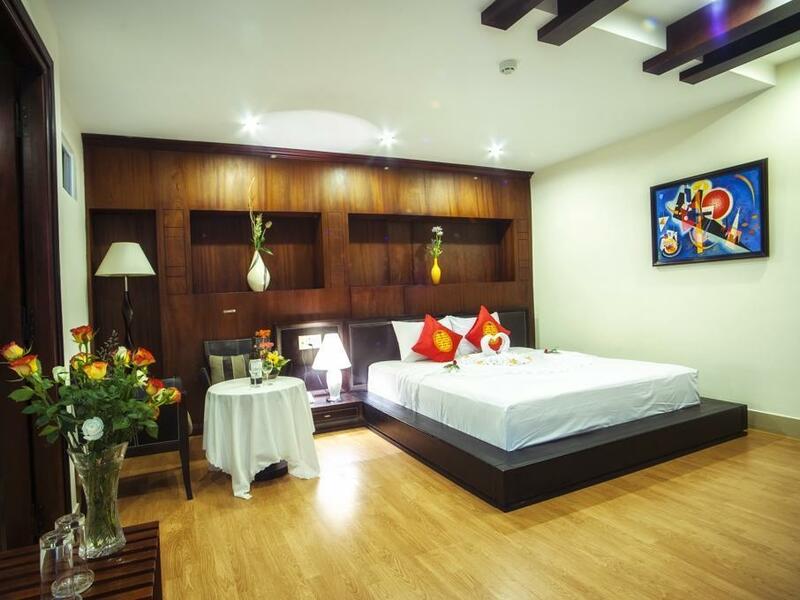 A well-appointed hotel, they feature facilities like plasma LCD TVs, a mini refrigerator, a mini bar, complimentary water, safety deposit box, air conditioning, broadband internet, a spa, and an on-site restaurant. A brilliant place of stay, The Summer Hotel is worth a visit! "The location is great close to all the tourist attractions,..."
Children between 5 – 10 years old will be charged upon check-in for breakfast when using existing bedding. Maximum children allowed per room is 2. Not the greatest. Typical hotel with low maintenance even in an upgraded room, showing its age. You should be able to do a fair bit better for the price charged. We were only there for a few days but would not highly recommend. The Summer Hotel had one of the friendliest staff we’ve ever come across. They welcomed us to shower at the pool before a late train, long after we had checked out. The only complaint was a musty smell in the bathroom. The only reason I choose to stay here is that of value for money, strategic location for resting, food and beach. It's really not bad with the location as this hotel is surrounded by restaurants, cafe, mart, street foods, shops etc. I booked and stayed in the single room without window, and I must say the room size was just decent and nice. Although the hotelier may need to look into clogged in the bathroom whenever I shower. Btw, I need to comment on shower gel, it has a weird smell. Perhaps they should review/change to a new scent for shower gel. Breakfast was alright, but not an issue for me. The staffs, especially front line are friendly, fun and informative, provided me info of where I should get a taste of Vietnamese food. There was rooftop pool but I only visit just to view the town. If you want to know if you should stay here, you can stay here if you are on a budget and still have privacy for your own self. Stayed in the Single with no window. Great place to stay if you just need a place to crash or are staying with someone with a suite or bigger room to gather in. The single with no window is exactly as advertised with no frills. Great breakfast and strong reliable wifi! Staff is very polite and helpful. At the time of this booking the Suite was only $8 more per night. Smaller rooms may not even have a window. It was spacious and the bathroom had a tub making a nice difference from a typical wet bathroom. Large sitting area was nice and the wifi was strong enough to work and was reliable for the 8 days we were here. The pool is nice in the morning and after the sun goes down. It being on the roof provides little shade during the day. The staff was extremely polite and helpful. Breakfast was a large buffet and had something for everyone. Only negatives were the hardwood floors throughout amplified the sounds outside your room. The occassional children playing in the hall or loud adult waiting for the elevator can be a bit distracting. Also do your self a favor and take your laundry down the street. 25k-30k a kilo is way better than the insane piece rate the hotel charges. Had a nice stay here. Staff in the frontcounter is very nice and attentive. Facilities are ok. The hot water is working very well. Breakfast is tasty, although not much variety. Very close proximity to the beach. Pros; The room was clean and comfortable. Mini fridge stocked, TV, aircon and WiFi all worked. If you want to be in the middle of the tourist strip this is it. Step out the front door and your in the middle of it. Let me store my bike in the room which was a bonus. Cons; Breakfast selection very limited, but plenty of restraunts outside the front door. Good location. Free motorbike parking outside the hotel. Buffet breakfast good spread. Hotel rooftop swimming pool small, lots of kids love it there. Short walk to beach. Very easy to go around motorbike. Everything in here is very nice to me. 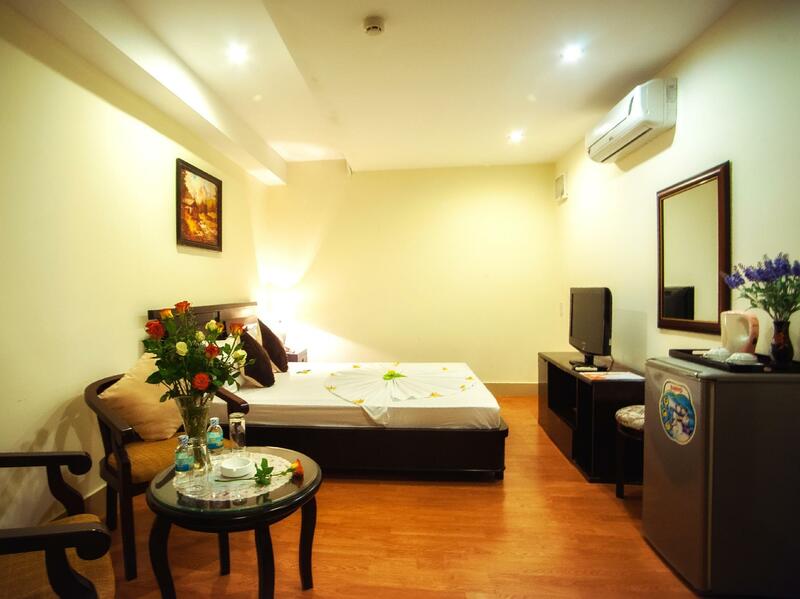 Near the Beach, clean and large room, nice view, great swimming pool on the roof top, and good service of staffs. If I come back to Nha Trang, I will stay whole day in here. Such a friendly and helpful staff like nowhere else! I broke my leg the day we checked-in and not only they helped me to get to the hospital, asked the bus company to stop right in front of the hotel for me when leaving to the airport the other day but we also got a room upgrade for free. They always asked how I'm doing, if we need any help etc. Breakfast was superb, so was the pool at the top of the roof. We really relaxed and enjoyed the stay here after traveling 3 weeks in Vietnam. Exceptional value for such a low cost! i have stayed at this hotel many times and been happy with my stay thanks to the excellent service, great breakfast and large room of this hotel. its location is perfect, near restaurants, bars and only 7 minutes' walk to the beach. Recommended. 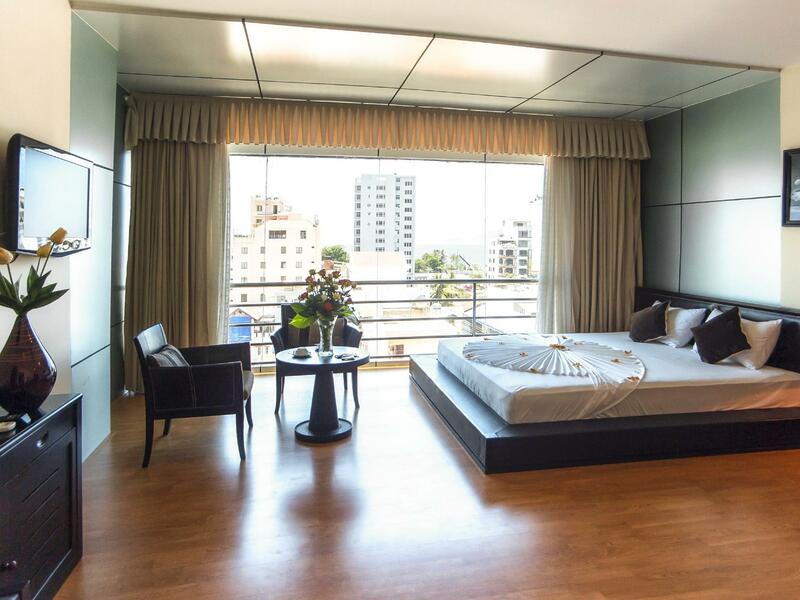 Very nice and clean, comfortable rooms. Pool is nice but small, and we found our room (1st floor, by the staircase) VERY loud in the mornings. Also a short, but nice walk to the beach (maybe 10 mins) so would have maybe preferred something a bit closer. Breakfast was OK but ends early (9:30 am). We stayed at the Summer Hotel for 6 nights. Great hot water, good air conditioning, lovely breakfast with so many choices. Our room was upgraded to a larger one at no cost! It was nice and big, clean, nice sheets and small waters provided each day. The staff were very kind, polite and helpful. There are many cafes and restaurants in the area and it's a quick walk to the beach. And it's not too far from the non tourist area which was great too...better and more authentic food! We would definitely stay here again, highly recommend! Nha Trang is a busy,beautiful city. Beach is such that you can stay at any smaller hotel and walk to beach and buy a chair and enjoy the day. 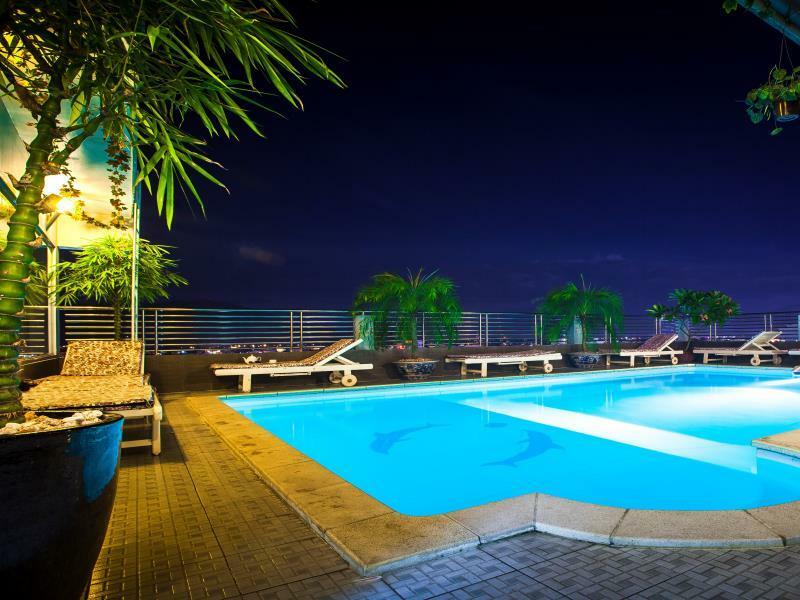 Then later go to the pool on the 10th floor at Summer Hotel and see the sunset! Traffic is busy. Very good coffee shop - turn left when you come out and it is across the street a block down. Excellent wifi there.Many many restaurants in area - go rights from Hotel and first left to Good Morning Vietnam and they have a Giant Pizza that was great! We stayed 4 nights and then took bus to DaLat. The roof top lounge, bar and pool area, wonderful and helpful staff, excellent food. Could not have asked for a better time here. 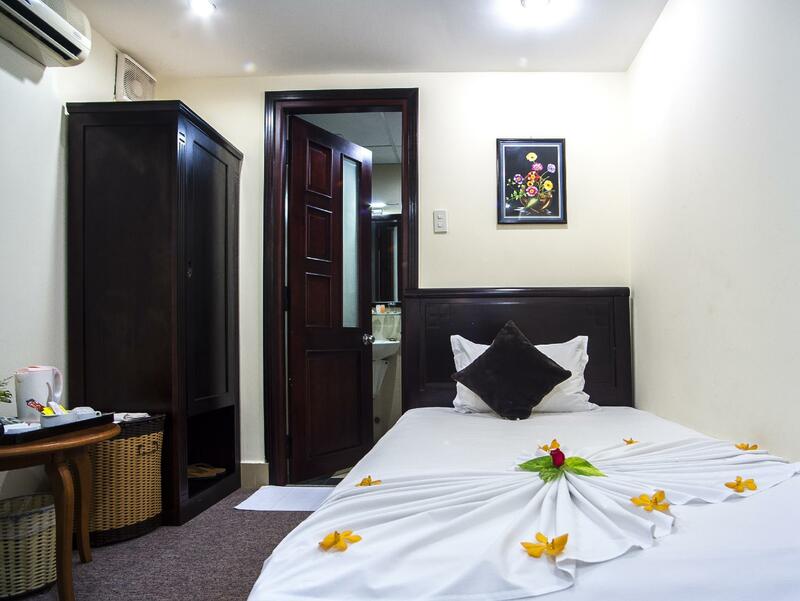 A totally relaxing and enjoyable time, handy to the beach without the noise of beachfront and an easy walk to all places in the tourist precinct. Staff fabulous, comfortable and clean rooms....would definitely go back again. I only have one criticism and that is the noise in the morning which appears to come from the kitchen area and travels up the stairwell. If youvare a light sleeper then i would suggest a high floor and earplugs. Also wifi very tempremental on/off all the time. We stayed on floor 2. The noise issue aside its a great hotel within easy reach of beach and lots of very good restuarants around. The view from the skylounge is fantastic. The hotel is great, the rooms are great, And the main daytime-working staff is nothing short of fantastic. I had a really comfy stay inside this hotel. And the breakfast is utterly delicious. However you should never travel to Nha Trang. It is in every aspect, little moscow. Why not go to moscow? The town is dead, other than the unpleasant russians walking around grunting at each other. Nha trang is a waste of your time and money and vacation in Viet nam. If you dont speak and read russian, this town is not for you. If you want some asian experiences, this town is not for you. The beach is not very nice. the water is dirty and the rip-curls and currents are very dangerous for anybody not a professional rescue diver / swimmer. Do your self a favor, go somewhere else in this beautiful country. Nha Trang is a euro-trash graveyard / ghost town. I stayed in Nha Trang twice and stayed at the Summer Hotel each time. I wouldn't stay anywhere else. I loved everything about the hotel. The cleanliness, the professional, friendly and courteous staff, the pool, the breakfast, the value. The pool is a great escape from the noise and traffic. The staff provided great travel tips, called taxis, helped with tours. The breakfast buffet is massive, many different choices. My room was small but fine for 1 person. I strongly recommend the Summer Hotel.